Signs of Spring are fleeting in many areas of the country, but Daylight Savings Time tells us it’s coming soon, right? I know many of you are hoping that the first day of Spring (March 21st) will herald the end of this seemingly never-ending frigid winter, and I’m sending positive energy and today’s bright, sunny, Tangerine Turmeric Energy Smoothie your way! 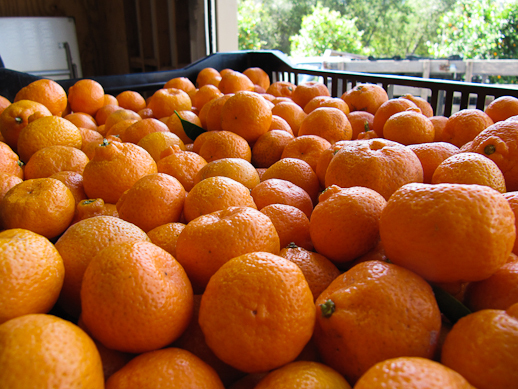 Spring also means tangerines are in season – hooray!! You should start seeing them in the stores soon. 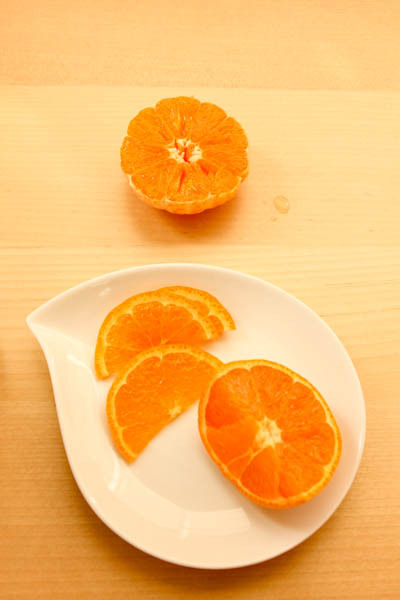 I adore tangerines for their burst of sweetness and easy peeling – especially Ojai Pixie Tangerines which are a super sweet variety grown in nearby Ojai, California. They are a cross between a Kincy, King and Dancy Tangerine and have no pesky seeds, which always pleases the American consumer. 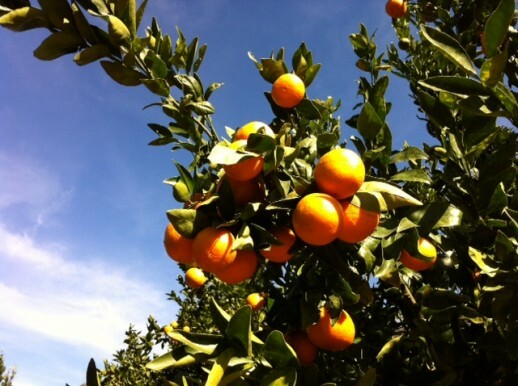 Two years ago, I was part of a fun and informative two-day tour with Melissa’s Produce of several Ojai tangerine growers and learned all kind of interesting facts about tangerines – like did you know all mandarins are tangerines, but not all tangerines are mandarins. Say what? 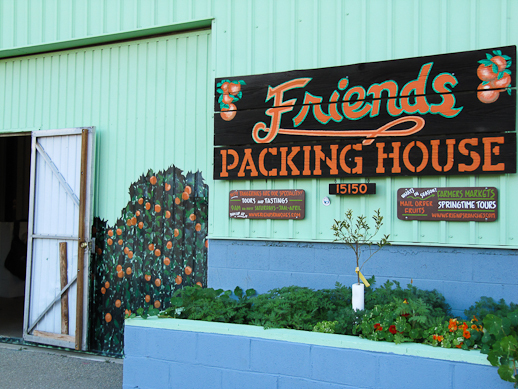 Yes, Mandarins, Satsumas, Clementines, Pixies, Honey, Halo, etc. they’re all different tangerine varieties. Along with tangerines, my latest craze is for the spice turmeric. A staple in Middle Eastern and Southeast Asian cooking for thousands of years, turmeric is an orange-colored spice imported from India and part of the ginger family that lends its golden color to curries and stews and is often used as a substitute for saffron. Long recognized for its healing power by ayurvedic and Chinese medicine practitioners to clear infections and inflammations on the inside and outside of the body, university medical research has Western medicine taking notice of its many healthy benefits as a powerful antioxidant and potent anti-inflammatory. 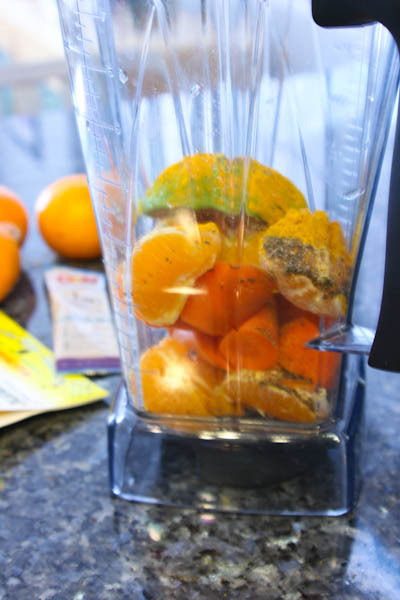 Sweet tangerines combine with carrot, avocado, turmeric, and chia seeds for an antioxidant power smoothie. Cut carrot into large chunks. Add all ingredients to a blender or Vitamix and process until smooth. I’m in love!!! Ohhhhhhhhhhhhhh, to have that now! This sounds delicious! Everytime VItamix comes to Costco, I’m really tempted to buy…I think I’d be happy to do juice dieting once I buy it, but that might make it harder to blog about Japanese food. =P Kids will be thrilled to drink delicious smoothies like this! !